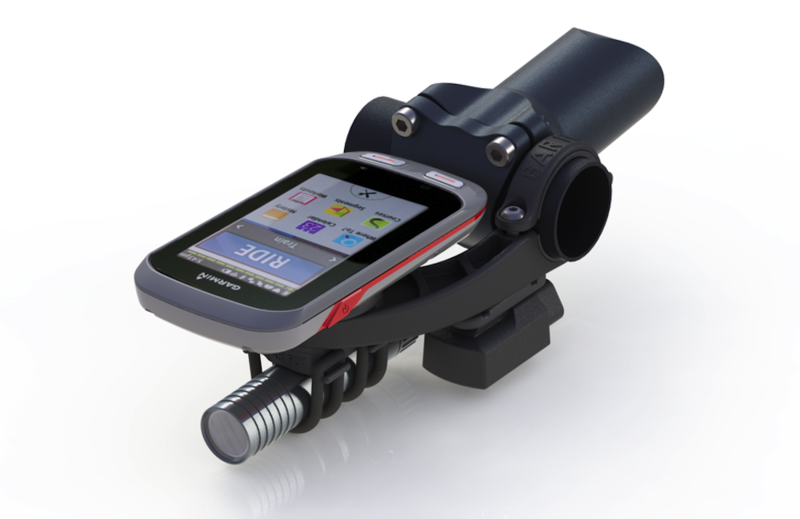 It started with your bike computer, but now that more and more gadgets are being bolted to the bars and stem, there’s a need to free up some room to allow you to hold on too. 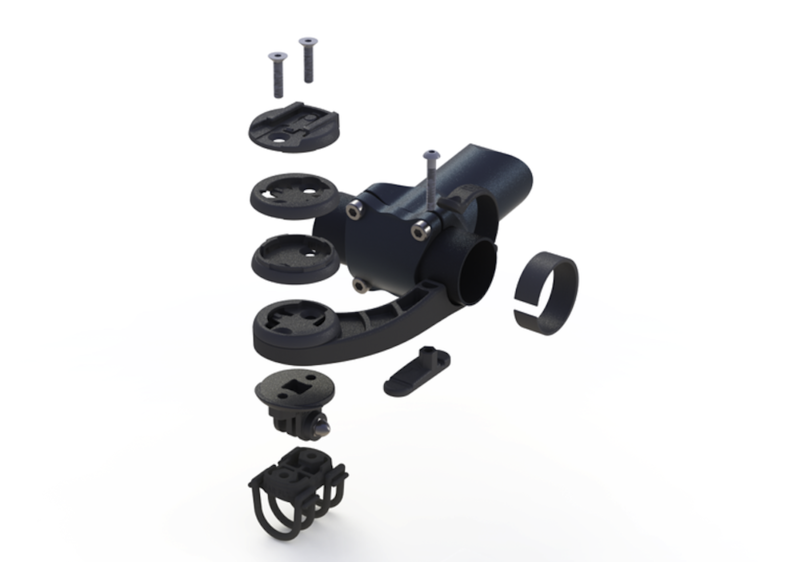 Barfly has been selling its out front mounts for cycling computers for several years, but with many riders wanting to mount an action camera too, not to mention lights and electronic shifting junction box, it has now launched its SLi range of mounts to fix multiple devices to your bars. Barfly estimates that a computer, camera and shifter junction box can bring the weight supported by a multidevice mount up to 325 grams or more, so it needs to be strong but still not too heavy. It also needs to be stable on different bar widths and reasonably aerodynamic. Made from composite material, Barfly claims that the SLi mount is significantly stronger than competitor products. It works with 31.8mm bars as well as the 35mm bar diameter increasingly favoured by mountain bikers. Wind tunnel testing has shown that the mount is also aerodynamically efficient, with Barfly claiming a time saving of ten seconds on every 24 miles ridden, relative to competitor products. The SLi is available with a range of interchangeable connector heads for different devices, so that if you change your computer or camera you do not have to buy a new mount. There is a head available to allow a front light to be attached to the bottom of the mount too. The US price is $29.95, although some of the additional mounting brackets have to be bought separately.